I'm all for endlessly baking cookies all winter long just for that scrumptious warm, sugary smell that envelops the house and fleetingly makes you wonder why you didn't pursue that dream of moving to Paris and opening a small pastry shop on the Seine, if it weren't for that pesky detail that you really aren't a very good baker at all. But, but the delectable scent, it's almost worth the 25 pounds you'd be gaining! 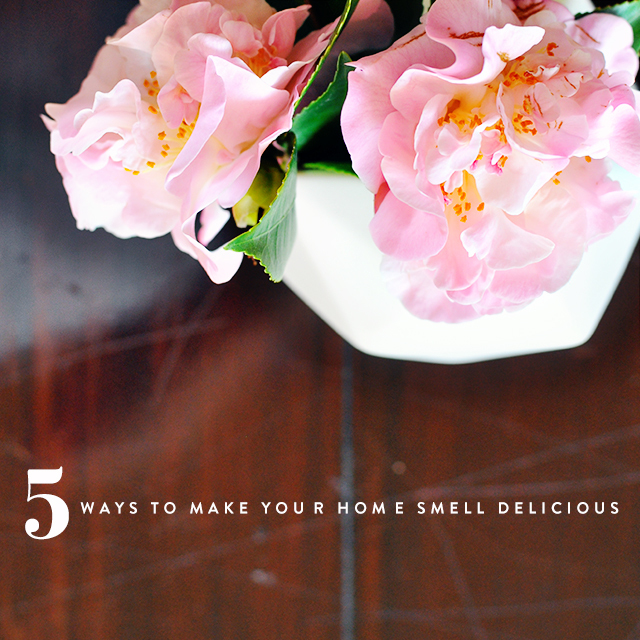 Instead, here are some other scents that will keep your home smelling fresh, warm and inviting. Camellias (or other fragrant winter blooms). I know. 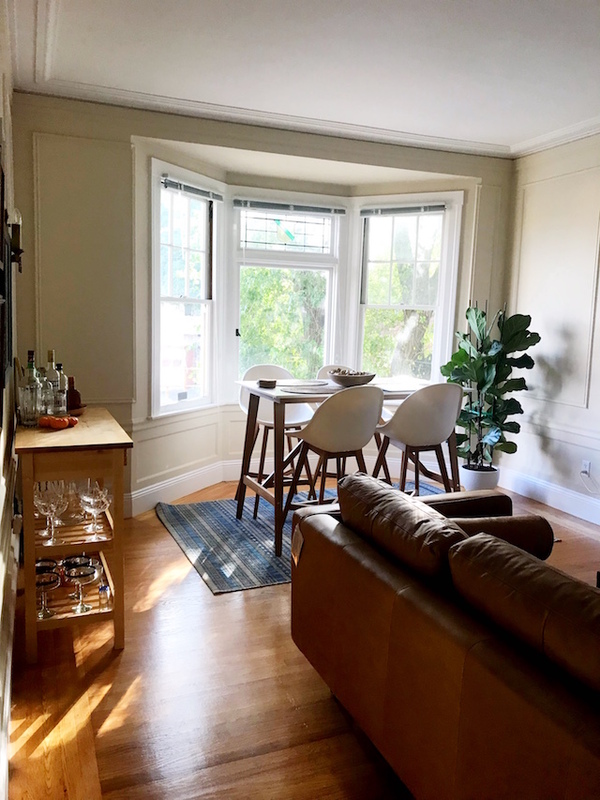 It seems so spring, but I clipped a few buds from my yard the other day and as they bloomed my dining room smelled like a light, fresh perfume. Boil orange and lemon peels. Fresh, clean and the scent seems to linger for days. You could also try cinnamon and apples for a more "fall" scent if that's what you're into. Don't have a fireplace, but want that wood-burning smell? Man Cave candles to the rescue! Seriously. That's what they are called. I just ordered ten of them. Herbs. I always feel that having tons of herbs hanging and drying makes it seem like I must be a busy Italian wife (look at all of the herbs I have)! But really they are there just to make the house smell pleasantly rustic. Another fun tip: hang Eucalyptus leaves in the shower and steam it up when you have a bad cold. Lavender spray. I'm on the bandwagon with the essential oils. A few drops of lavender in water and get spray happy. Or you could just keep the coffee brewing all day long (which, as a mom to two little ones, does not seem too far-fetched) and you'll have that lovely roasted bean smell all day long. the scent of fresh flowers at home or homemade cookies is priceless and make me feel so cozy and comfortable. We have a tobacco-scented candle that always make me want to happy dance! I always used perfumes in my sweet home with different fragrance, but before that I used Osim uMist Baby to generate cool, fine mist that humidifies my room more effectively. It's quite effective for my baby.